"At the Geneva Motor show in 1974, Pininfarina displayed an open spider based on the Beta Coupé. It was not a true convertible as there was some safety concerns at that time, so the spider incorporated a built in roll bar. 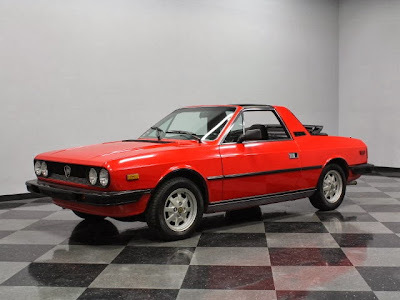 Lancia expressed its interest to Pininfarina to market the new spider, but Pininfarina's budget could not justify such a small production run. So Zagato took up the challenge and produced the spider in conjunction with Lancia. 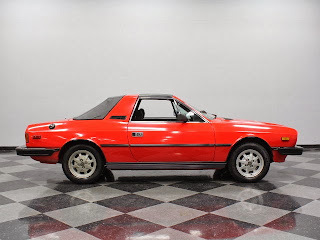 Complete Coupé body shells were shipped to Zagato from Lancia's factory to have them modified, the modified bodies were then sent back to Lancia to have the anti-rust treatment done. Again after this the bodies were shipped to back to Zagato where the bodies were painted and the interior finished off. Finally the semi complete cars went back to Lancia so the engine and transmission could be fitted." That's a lot of work. In hindsight, they could have saved some time and money by skipping the trip back to Lancia for the anti-rust treatment. It didn't work. 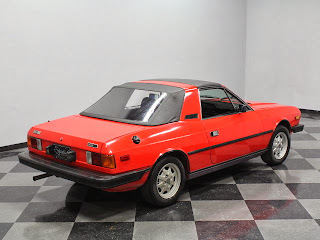 In the US, the Beta Zagato replaced the mid-engined Scorpion in the Lancia lineup. 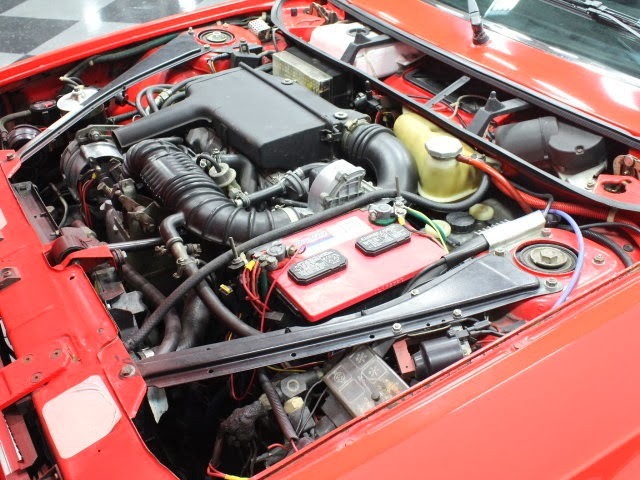 In stock form, with just 84 HP on tap, the Zagato will not set any speed records, but the engine loves to rev, and it handles well and rides nicely. Look at a Zagato as a great cruising car, one made for long summer weekend drives. 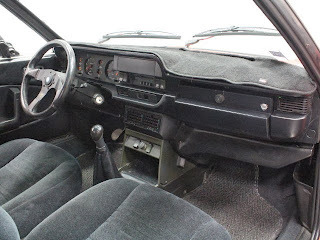 Mechanically, the Beta shared virtually all its parts with Fiats from the same era. Those parts - along with performance parts, if you're so inclined - are easy to come by. Body panels and trim pieces, however, are getting very tough to find, especially in the US. This car is priced at the very top (maybe over the top) of the Beta Zagato price range. 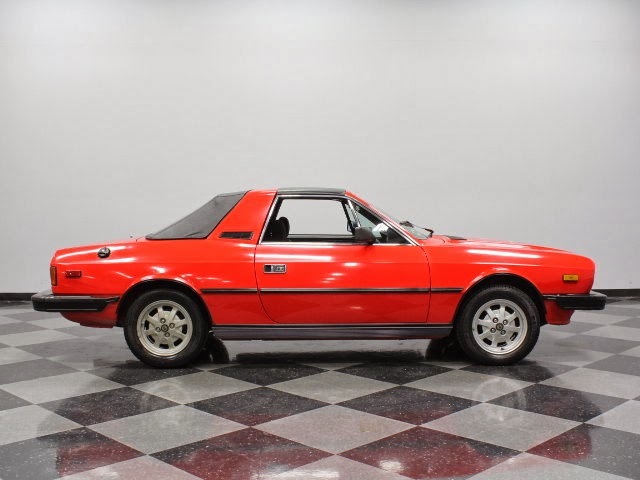 The seller says it has 33,000 miles on it and it appears to be immaculate. A Beta Zagato will never be worth a lot of money. The Beta's poor worldwide reputation will keep that from happening. Unless you're handy with a MiG welder and like chasing down obsolete parts, buying a fixer-upper makes little sense. It's a car you buy to drive and keep. Given that, buying a high priced, well maintained one like this makes a lot of sense. Located in Charlotte, NC, click here to see the eBay listing.